The Nike Air Max 270 is a new lifestyle shoe from Nike. 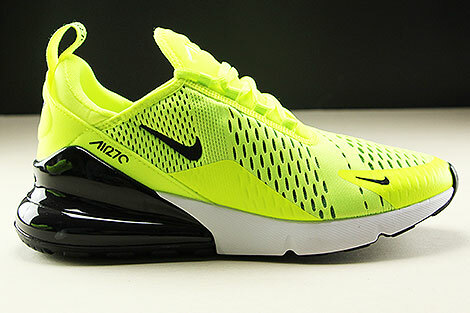 The Air Max 270 is known for having the highest Air Max unit in Nike history. It is also made exclusively for casual wear and not for performance running. Another wonderful new Nike Air Max 270 comes right here in a synthetic and mesh mix. Attractive colours like Volt, Black, Dark Grey and White makes this version to one of your favourite companion for every day!